Katalin Nagy C. is Research Fellow at the MTA-DE-SZTE Research Group for Theoretical Linguistics, University of Szeged, Hungary. Data and Argumentation in Historical Pragmatics has two interrelated aims, one empirical and one theoretical. Its object-scientific aim is to provide a comprehensive analysis of the beginnings of a semantic change process in the grammaticalization of the medieval Catalan “anar ‘go’ + infinitive” construction, investigating it from a historical pragmatic perspective. Catalan is unique among Romance languages in that a purposive construction involving this motion verb achieves a perfective past meaning. This evolution is in contrast with the universal pathway of verbs meaning ‘go’ to grammaticalize into future markers in similar constructions, detected in several languages of the world. 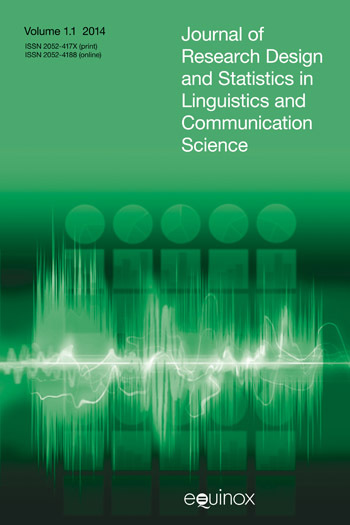 Although this volume discusses a micro-level study on a grammaticalization process which, according to the previous literature, does not fit any universal tendency hitherto revealed, it will hopefully also provide new information about the macro-level process of semantic change of motion verbs in general. The theoretical aim of the volume is to examine some methodological questions in historical pragmatics and contribute in this way to recent metalinguistic discussions on data, methods and argumentation in linguistics. Methodological issues have not only been present in historical pragmatics since the beginnings – their resolution is seen as a crucial factor which will determine the future of this linguistic sub-discipline. 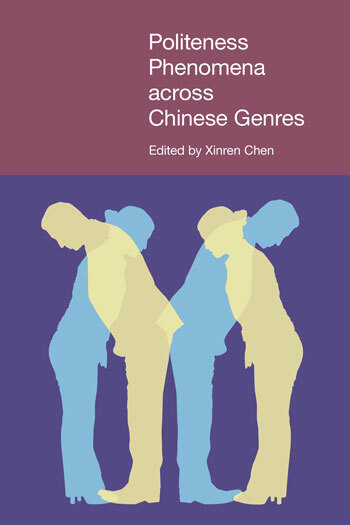 The introductory Chapter 1 gives an overview of the motive, aims and methodology of the research and presents the structure of the book. The results of the study on the initial stage of the semantic change of the “anar + Inf” construction are discussed in three chapters: the object-scientific part of the research is presented in Chapter 2, while methodological issues are addressed in Chapter 3. For the sake of clarity, I present the object-scientific study in a separate chapter, but I refer back continuously to the relevant connected parts in the methodological chapter. Finally, in Chapter 4, I propose a new hypothesis, developed on the basis of the conclusions of this twofold study. After an introduction to semantic changes of motion verb constructions in the languages of the world, the two first sections of the object-scientific part present the use of the construction “anar ‘go’ + Inf” and “ir ‘go’ (a) + Inf” in medieval and current Catalan and Spanish, respectively. Section 2.3 offers a summary of previous literature on the topic, discussing and criticizing the main hypotheses, which raises the necessity of a new approach. After presenting the theoretical background in section 2.4, section 2.5 provides a morphological analysis of the occurrences found in the historical corpus. Section 2.6 deals with entrenched local schemas discovered in the use of the motion verb constructions under study and offers a comparison of their use with uses of functionally similar constructions in the same language state. Section 2.7 summarizes the object-scientific results of the research. Chapter 3, on methodological aspects, opens with an introduction (section 3.1), then section 3.2 reviews data sources in pragmatics, and in particular historical pragmatics, while section 3.3 examines how they are used in research practice. Section 3.4 deals with contextual analysis as a central tool in historical pragmatics methodology, while section 3.5 offers methods used to guess meanings in historical documents. Section 3.6 focuses on a presentation of the p-model and its notion of data, which serves as a basis of the methodological part of the study. Argumentation methods in historical pragmatics and the usefulness of methodological considerations when deciding between rival hypotheses are discussed in this section, too. Relying on the results of the historical study discussed in Chapter 2 and methodological considerations in Chapter 3, I introduce my own position on the semantic change of “anar + Inf” in Chapter 4. I place particular emphasis on the role of pragmatic inferences in the process (4.2) and discuss possible typological parallelisms, as well (4.3). Finally, Chapter 5 is a summary which reviews both the object-scientific and methodological results of the study. At the end of this chapter, the new achievements of the study are highlighted in a separate section. Following the bibliographic data for the Historical sources and References, there is an Appendix at the end of the book with a list of occurrences of the Catalan constructions “anar + Inf” and “anar a + Inf” found in the texts of my corpus, quoted with a brief context. Data and Argumentation in Historical Pragmatics has two interrelated aims, one empirical and one theoretical. Its object-scientific aim is to provide a comprehensive analysis of the beginnings of a semantic change process in the grammaticalization of the medieval Catalan “anar ‘go’ + infinitive” construction, investigating it from a historical pragmatic perspective. Catalan is unique among Romance languages in that a purposive construction involving this motion verb achieves a perfective past meaning. This evolution is in contrast with the universal pathway of verbs meaning ‘go’ to grammaticalize into future markers in similar constructions, detected in several languages of the world. Although this volume discusses a micro-level study on a grammaticalization process which, according to the previous literature, does not fit any universal tendency hitherto revealed, it will hopefully also provide new information about the macro-level process of semantic change of motion verbs in general. The theoretical aim of the volume is to examine some methodological questions in historical pragmatics and contribute in this way to recent metalinguistic discussions on data, methods and argumentation in linguistics. Methodological issues have not only been present in historical pragmatics since the beginnings – their resolution is seen as a crucial factor which will determine the future of this linguistic sub-discipline.